Automation. The gig economy. Skyrocketing debt. Limitless social connectivity. These are just some of the challenging realities young Canadians face alongside parents, employers, educators and government as young Canadians transition into a rapidly changing workplace. 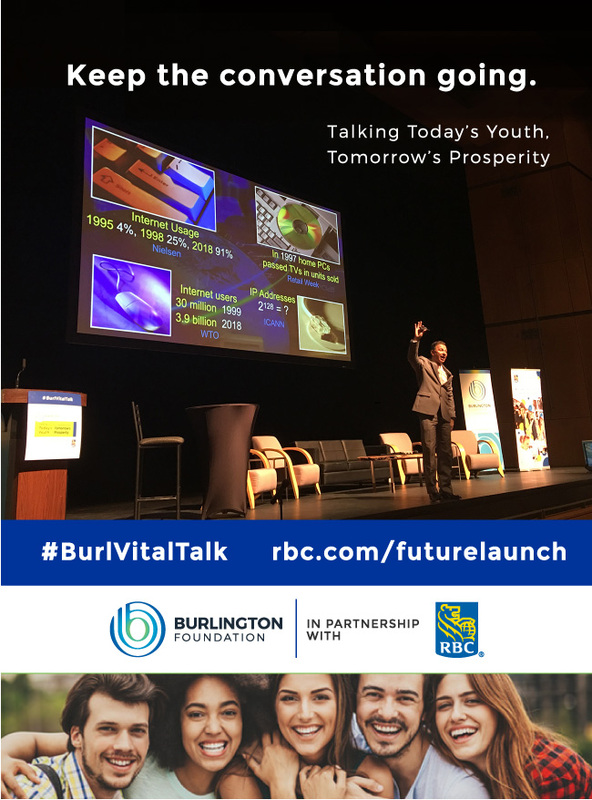 Thanks to all who joined us at The Burlington Performing Arts Centre for “Talking Today’s Youth, Tomorrow’s Prosperity” – a night of community conversation in partnership with RBC. This vital talk shone the light on opportunities, obstacles, collaborations and concrete actions we all have before us now, and in the future as we help young Canadians build personal and professional success. For when young Canadians prosper, business and community do.